The new year is upon us and industry experts have already cast their predictions for the upcoming advancements in the online and mobile gaming markets. The past year was full of successes for the gaming industry as innovative mobile gaming technology found its way into regulated markets. The US online gaming market is a, especially hot topic among industry experts. New Jersey is a focus of interest because of the launch of newly regulated Internet gambling. There is speculation that the scenario in New Jersey may cause a domino effect through the other states. Nevada and Delaware have also experienced similar progress with Internet gambling, There is a lot of discussion around the profitability of only offering online poker. Some experts believe that restricting the access of online gambling to one game will cause a decrease in profits. These experts are of the opinion that the full range of online games should be made available with regulations in place. This would also include sports betting. Other states to watch out for this year are California, Pennsylvania, Colorado and Illinois. All of these states are undergoing applications for a change in legislation on Internet gambling. Currently, online gambling is not allowed within their borders and it will be a difficult process to change the legislation. Asia will continue to be at the forefront of mobile and tablet gaming technology. The country has been advancing the industry at a rapid pace and is a major influence on the international gaming community. As gambling apps on mobile and tablet devices continue to improve the technology will reach more end users and have a greater impact than ever before. The technology involved is advancing at a rapid pace. The use of strategic marketing strategies by the mobile gaming operators allows them to reach a larger audience in creative ways. Payment providers are also using innovative technology to provide secure transactions for deposits and payment withdrawals on mobile apps. The convenience of mobile and tablet gaming devices is a driving force behind the growing numbers of mobile gamers. 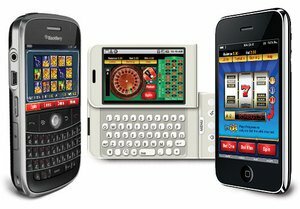 As more apps integrate Live Casino games and HTML5 for touch device the speed and reliability of mobile gaming will improve even further. This is another testament to the global popularity of mobile gaming. 2013 was a triumphant year for the gambling industry. 2014 should witness many more success and further regulation to safeguard players.